Austin's SXSW is always a solid event for weird and wonderful surprises, with a fresh pair of Bluetooth-connected and cloud-enabled smart shoes fitting the bill this week. The sneakers, a collaborative effort from Fujitsu, SnowRobin and two universities in Japan, use in-built sensors to track your data and create 'walking experiences' and games for the wearer. While the tech is currently being tested in the lab, one of these experiences, Pa-League Walk, involves people walking in order to support their favourite professional Japanese baseball team. The aim is to walk more than fans of opposing teams, though what actual reward users receive besides the shallow taste of victory is unclear. And if by some stretch that's not enough to motivate you to launch into a Forrest Gump-esque marathon, the shoes can also be used to just simply track your step data and keep a tab on things in a companion app. With the sneakers also being cloud-connected, this means your data is consistently being synced — a handy feature for those not looking to strap something onto their wrist all day. Whether this also allows you to upload sneaker-based images or store music, though, is still up in the air. Unfortunately, things stay fairly ambiguous in the promo below, although there does appear to be a fairly solid lineup of concept shoes. But just because this all appears to be in the relatively early stages doesn't necessarily mean the smart shoe game is equally barren. Under Armour unveiled the second generation of its smart connected running shoes at January's CES 2017, while many other companies already offer clips for you to add onto any shoe and track data. 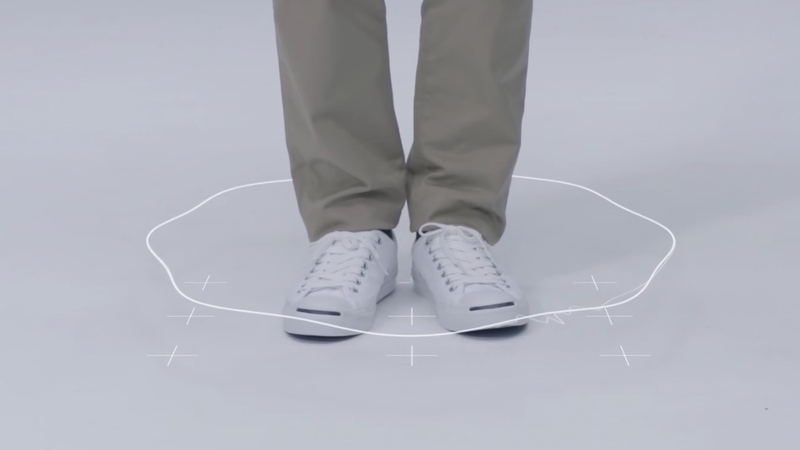 Nobody has really explored a gaming element to smart shoes yet, though, so perhaps Fujitsu's audience lies in wait. We'll let you know of any progress with this project, including when you can expect a drop and how much you'll have to shell out to make your walk great again.